256 pages | 10 B/W Illus. This book provides a comprehensive analysis of major works in Japanese literature and film through the interpretive lens of trauma and PTSD studies. Focusing critical attention on the psychodynamics and enduring psychosocial aftereffects of social trauma, it also evaluates the themes of dissociation, failed mourning and psychological defence fantasies. Building on earlier studies, this book emphasises the role of protagonists in managing to effect partial recovery by composing memoirs in which they transform dissociated traumatic memory into articulate, narrative memory or bring about advanced recovery by pioneering alternative means of orally, communicating, working through, and overcoming debilitating personal histories of traumatization and victimization. In so doing, Stahl also demonstrates that what holds true on the individual and microcosmic level, also does so on the collective and macrocosmic level. 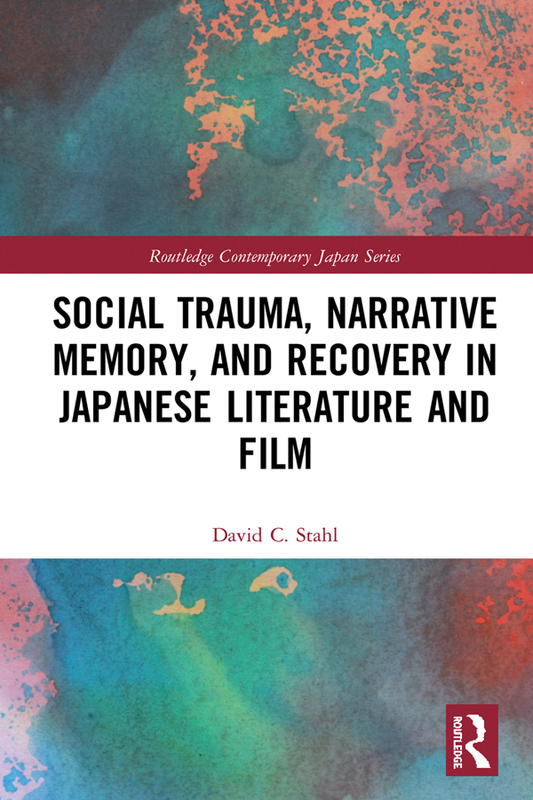 This new critical approach sheds important new light on canonical Japanese novels and films and enables recognition and appreciation of integral psychosocial aspects of these traumatic narratives. As such, the book will be of huge interest to students and scholars of Japanese film and literature, as well as those of trauma studies. David C. Stahl is Professor of Japanese Literature and Cinema at Binghamton University, USA. His publications include Trauma, Dissociation and Re-enactment in Japanese Literature and Film (2017)and The Burdens of Survival: Ooka Shohei’s Writings on the Pacific War (2003).